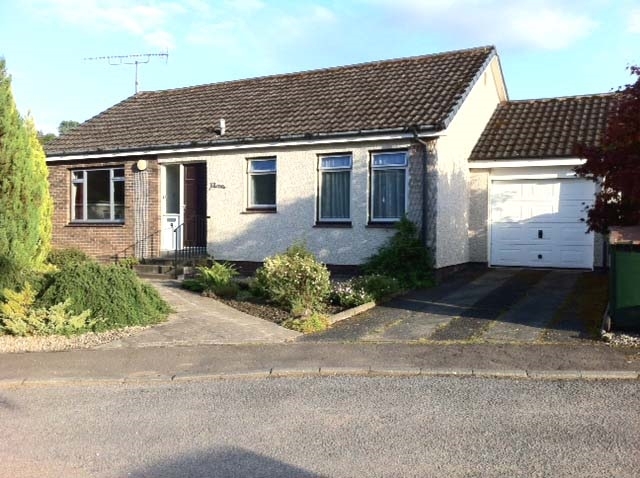 Aberfeldy is at the heart of Highland Perthshire and this delightful well-presented bungalow sits in a peaceful residential cul-de-sac. Within easy walking distance of the renowned area of natural beauty known as The Birks whose woodlands and waterfalls were immortalised by Robert Burns. Surrounded by magnificent scenery, Aberfeldy lies on the River Tay and is the perfect base for touring the famous Perthshire lochs and glens or exploring west to the Trossachs, Argyll and Oban. Within a few miles are Loch Tay, the remote solitude of Glen Lyon and the grandeur of the high peaks of Schiehallion and Ben Lawers. The many outdoor activities include golf, angling, climbing, walking, fishing, mountain biking, horse riding, white water rafting, sailing and ornithology. The accommodation offers TWO bedrooms: 1 king-size and 1 twin. Bathroom: shower over bath. Lounge: with sofa bed, TV, DVD and CD player. Kitchen: electric oven, gas hob, fridge/freezer, microwave, dishwasher and washer/dryer. Outside: secluded landscaped garden with patio and furniture for outdoor living. Private garage. Amenities: bed linen, towels, electric and gas included. Regret no smoking. Regret no pets. Location: excellent local shops, pubs and restaurants all within easy walking distance. Arrival: 4pm.